Welcome to our latest installment on Fashion influencers and trend-setters. We started with the Bloggers and now we’re moving onto the Young Starlets who have already made it big, and who we think are going to get even bigger in 2016. Our next post in the series (“Taste-Makers: The Business Women”) will appear on 4th of March 2016. Step forward Serayah McNeill aka singer Tiana Brown from the massive US television hit show, Empire. Singer, dancer, former basketball player and member of Taylor Swift’s girl gang, Serayah certainly knows how to make people stop and stare. Always rocking a bold and fresh look, we see her star rising higher and higher in 2016. If you haven’t heard of Luping Wang already, you soon will. The Chinese model, who was discovered in her hometown mall, has already appeared in the Chanel, Stella McCartney and Chloe fashion week shows, and has also worked with Alexander McQueen, Dolce & Gabbana, Dior, and Hermes. You may also have spotted her on the front covers of Elle China and Grazia China. We love her cool sophistication and eye for style. You may know her better as Arya Stark in the HBO television series Game of Thrones. The multi-award-winning English actress has also recently become a star of Doctor Who. Not just a style queen who always strikes a vibrant and different look, she’s also a big lover of animals and cares deeply about upholding their rights, something that we at Anya Sushko care about greatly, too. You could say that Olympia is part of Modelling royalty. The UK star’s older sister Edie is a renowned model and their mother is former Vogue fashion editor, Sophie Hicks. Burberry, Lanvin and Fendi have all engaged her services, and she’s also worked with the fabulous Karl Lagerfeld. We love this natural and stylish beauty’s blog and what she has to say about women being confident in their sexuality. Girl power! Popular Kingfisher model turned Bollywood actress, we predict that we’re all going to be hearing a lot more about Saiyami this year. Daughter of former Miss India, Uttara Kher, glamorous Saiyami always looks hip, sassy and beautiful and definitely knows how to dress. Ever fancied trying your hand at leather-working? Well, now you can with our selection of fab workshops! Come and Make Your Own Make-Up Case on our fun one day course. 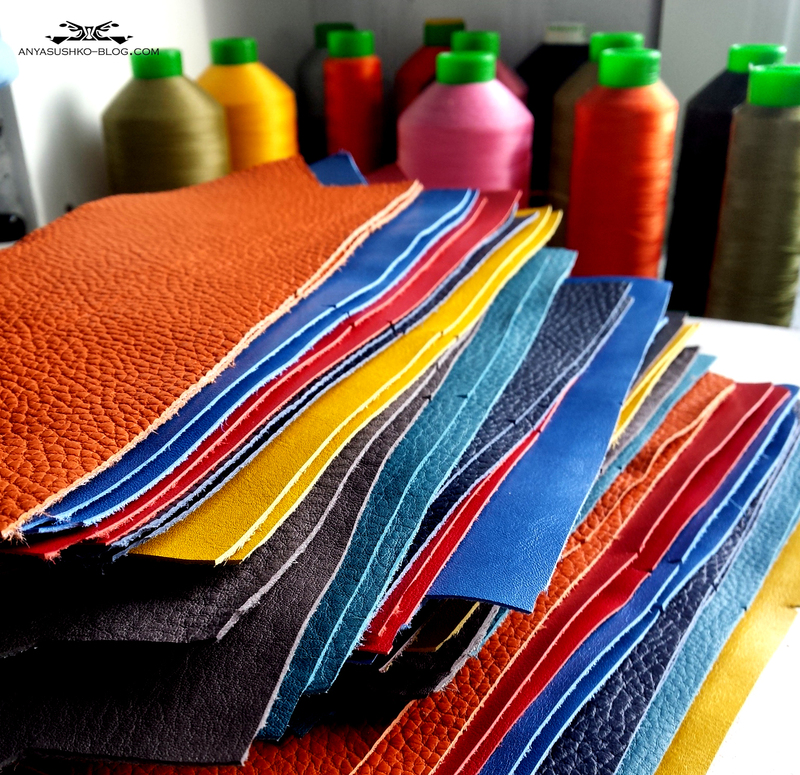 This course is perfect for those looking for an introduction to leather-working. You will learn the basics of leather craft and take a snazzy make-up case away with you at the end of the day in a colour of your choice. The course is held at Anya’s London Thames-side studio and is suitable for total beginners. Our one day Make Your Own Pencil Case workshop is another fantastic way to be taught the fundamentals of leather-working in a fun studio environment. Our Creative Director, Anya, will teach you some of the tricks of the trade in this master-class in leather craftmanship. In this workshop, you will be guided through the process of making a stylish pencil case, and will go home with a luxury leather accessory to wow your friends and work mates! Maybe you’re looking for a fun idea for a hen party, or a corporate entertainment event that’s a bit different? Or perhaps you’re just looking for a new hobby? Our Make Your Own Tassel / Key-ring is a great half-day course where you will learn a lot whilst having fun in a relaxed studio. For a half-day or evening leather-craft class, this is perfect. And it doesn’t matter if you’re a total beginner. We are flexible with times and dates so can fit around your busy schedule if you’re looking to host a corporate event with a twist. What a great way to do a bit of client entertainment whilst learning a new skill! It would also be ideal for a crafty hen party. We can provide some champagne as well if all that leather-working builds up a thirst! Email us here for further details. We haven’t forgotten about the youngsters, either. Our Make Your Own Phone Cover workshop is a super fun idea for your next childrens’ party. You pick the day, time and place and we do the rest! Or you can come to our Riverside studio for the workshop. Under Anya’s watchful eye, the children will be taken through some fun and basic leather-working, and each will go home with a cool phone cover they can use!